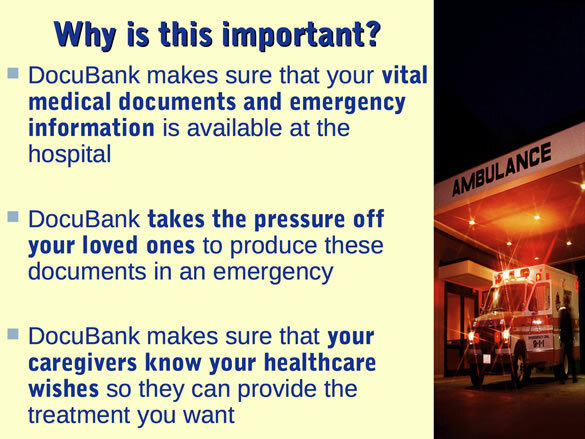 How Does DocuBank Work For You? 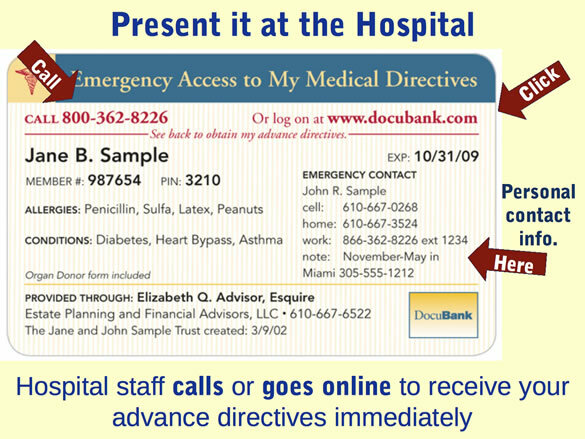 Once you enroll (see How You Join), DocuBank stores your advance medical directives and sends you your personalized DocuBank Emergency Card. 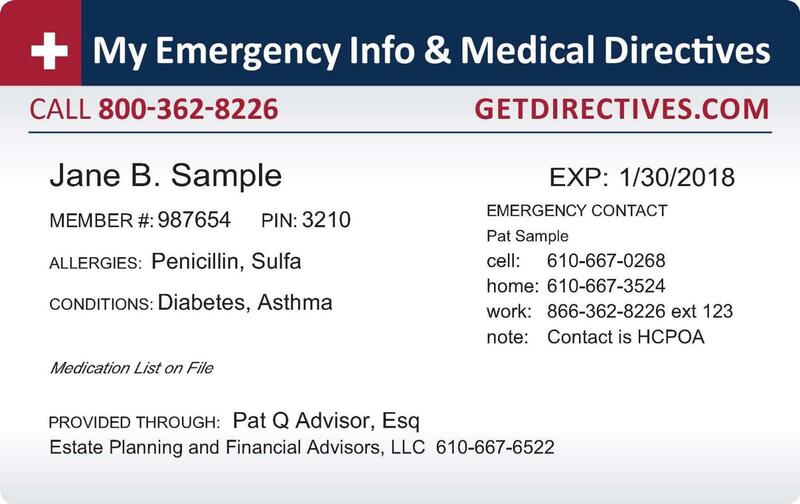 Carry this card in your wallet in front of your driver's license so that it can be found in an emergency. 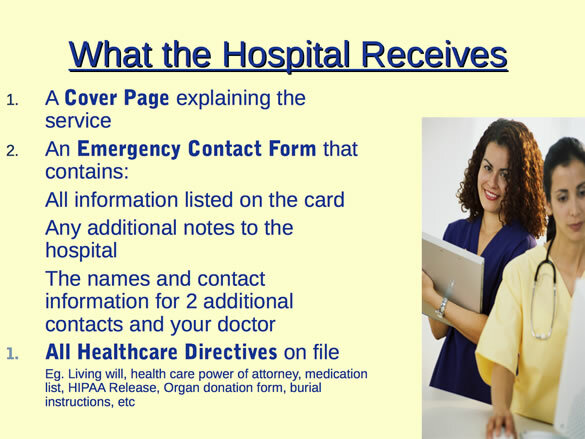 You, your doctor, or a family member can go to www.getdirectives.com any time, day or night to obtain your directives. 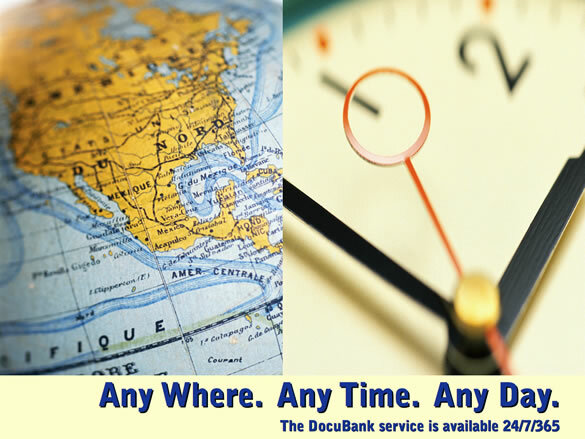 DocuBank immediately transmits a copy of your documents along with all the additional information on file, anywhere in the world. 24/7/365. DocuBank memberships also include SAFE. SAFE is an online access system for additional documents you'd like to have accessed. Once you have logged in to your personal DocuBank membership you will be able to create an encrypted password for your personal SAFE. SAFE is an optional service and is included at no additional charge. Once you have created your encrypted password you will be able to begin uploading those personal files and pictures you would like online access to. 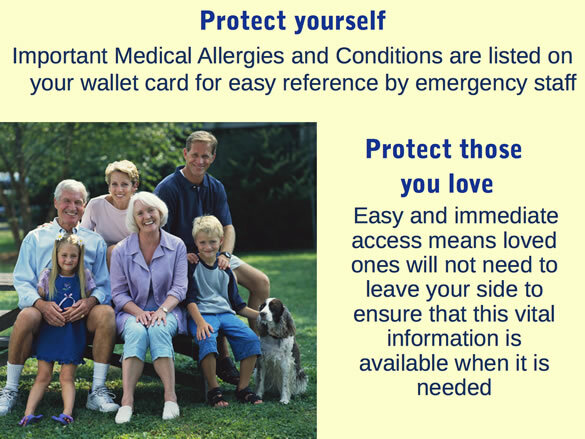 The documents and files stored in your SAFE will NOT be accessed by the Emergency Card. 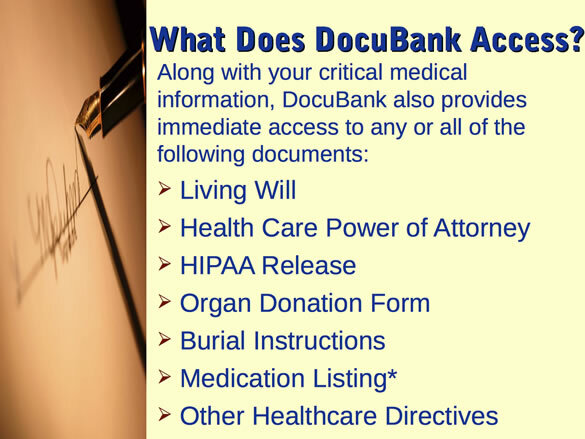 *DocuBank Complete memberships include access to a list of your current medications, and a highlight of your critical medical information along with your documents whenever they are requested.